SA is getting a new, corporate-focused telecommunications operator and Internet service provider. The company, OnedotCom, which is part of the same group that is supporting the construction of a R1,2bn fibre-optic communications network across Johannesburg under the BWired umbrella, has also revealed plans to invest billions of rand, with partners, in new fibre infrastructure across Southern Africa. 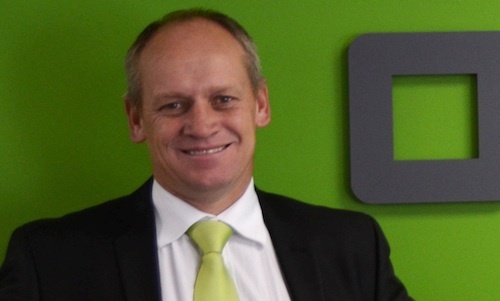 OnedotCom and these partners are planning to invest roughly US$600m (R4,3bn) in communications and technology infrastructure in the region during the first phase of the network build over the next few years, says CEO Niel de Wet. It’s in advanced-stage talks to provide telecoms infrastructure to the multibillion-rand Dube TradePort in KwaZulu-Natal and will be involved in building a fibre network along a new rail system linking Botswana, Zambia and Mozambique as well as to the planned $520m Maputo Deep Water Harbour. In SA, OnedotCom says it will deliver converged data, voice and video products to business customers. The company is the result of a merger between BCS Net and DNS Telecom and is ultimately owned by Blue Platinum Ventures, which is involved in the BWired project being built for the City of Johannesburg by Ericsson. Construction of the BWired network should be ready for commercial service by August 2012. OnedotCom has the contract to operate the BWired network as part of a build-operate-transfer contract lasting 14 years, De Wet says. The company, which has interconnection arrangements with all of SA’s big telecoms operators and service providers, will offer services to corporate customers on the BWired fibre network, he adds. The BWired core network operates at 10Gbit/s. OnedotCom, which consists of operator and Internet service provider divisions, says it is building multiple nodes on its network. It says it won’t rely on its own infrastructure alone to provide services, and will work with other operators and service providers. It already has close working relationships with Neotel and Broadband Infraco.